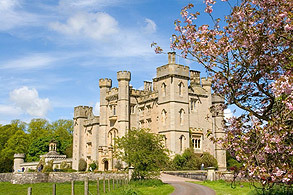 A residential drawing and painting course in the beautiful setting of Duns Castle. “Your help, for the novice I was, was truly encouraging. When I consider the experience of the group of ten “hopeful” artists ranged from zero to accomplished you managed to teach each and everyone of us something new and so many useful tips were flowing.